How often do you really stop to think about what you are putting in your dog’s bowl at meal time? Obviously what you are feeding your pet will have a big impact on the growth, the health, the energy, and the well being of your dog. This is why many pet owners in the last few years have been making the switch to the best grain free dog food. But is this just a passing fad? Is grain free dog food a hoax? Or is it something that will really benefit your dog and improve their health? Well, your dog belongs to the same family tree as the wolf. As such, dogs are meant to be meat eaters. So, pet owners strive to mimic their pet’s natural, ancestral diet. This is why pet owners move from commercialized pet foods. So many of them have a leading ingredient of wheat or corn and it has proven to be a difficult diet for the pet. Instead, they are searching to find the best grain free dog food. Even though most domestic pets do not require a strictly protein diet, they do suffer from grain sensitivity on some level. So don’t let gluten and grains bring your pet down. Instead, choose a no grain dog food. Typically grains are very difficult for your dog to digest. Why? Because they lack amylase. It is a special enzyme contained in the saliva the helps break down those complex carbohydrates and starches in humans. Also, a true grain intolerance in your pet is an immune response. Instead of normal absorption of nutrients, the workings of the small intestine become damaged. So instead of dog food giving your pet balanced nutrition, the grain overload damages the digestive system and in time could severely harm your pet. There are many health related problems your pet can avoid by simply changing their diet. Most common is a sensitivity to grain that can result in sensitive or dry skin, ear and eye infections, and digestive problems. Other problems could include the development of early arthritis, inflammatory responses, and pancreatitis. Not all these illnesses have a direct link to grain in your pet’s diet. However, it is still likely that the commercial pet foods full of grains will degenerate your pet’s more natural health and lifestyle over time. When looking for the best grain free dog food your main concern should be the protein. Amino acids are what help build a healthy body for your dog. Amino acids come from proteins. Dogs tend to thrive on quality proteins and healthy fats. These natural ingredients are a great source of energy for dogs and should be the dominating ingredient in any dog food. You also want to make sure the products include other natural ingredients, with minimal processing. That way your pet gets the fresh nutrition they deserve. The Wellness CORE dog foods are based on the idea that dogs will thrive on diet based on meat. This dry dog food is part of a rich, nutrient based diet with a leading protein ingredient. There are no meat by-products or fillers. The grain free recipe is sure to nourish your pet, improving their health and happiness form the inside out. One leading benefit of CORE includes the yucca schidigera extract. It reduces odor in stool, and supplements B vitamins and amino acids to reduce inflammation, and glucosamine to protect the joints. This is a well balanced formula of natural, high quality ingredients. The first ingredients listed include deboned turkey, turkey meal, chicken meal, peas and potatoes. If you feel it is time to take your pet’s nutrition back to the basics, then this dry dog food is a way to do that. The proteins are easy to digest and the other nutrients are quickly absorbed into your dog’s system. Consumers say, if you are looking for a grain free diet, because of allergies or sensitivities, then this is the pet food for you. When you choose Merrick for your pet’s food, you are picking a diet that is sourced from local U.S. farms. 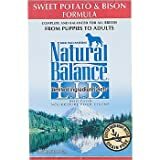 The buffalo and sweet potato dog food will deliver a well balanced meal high in protein without the grain. It is ideal for all life stages and all breeds. To support your dog’s overall health this dog food is naturally nutrient rich, with 70 percent meat and 30 percent fresh produce. It helps develop lean, healthy muscle tissue and supports a healthy coat with omega fatty acids. It is easily digestible and is a revolution for the dog bowl. The top listed ingredients include deboned buffalo, chicken meal, turkey meal, sweet potato, and peas. Other ingredients include apples, blueberries and salmon oil. Consumers say this is a great grain free dog food. It has helped their pets with shedding and skin conditions, and is a more affordable option that you might think. Because it is such high quality your pet can eat less, but still get all the nutrition they need. This dry dog food provides a great grain free option for pets with allergies. It is a delicious, high quality food that provides well balanced nutrition. The limited ingredients, or single source proteins and carbohydrates, make it easier to control your pet’s allergies or sensitivities. The dry dog food has been scientifically formulated to optimize your pet’s health, improve their coat and skin, and provide complete nutrition. This food is also easily digestible and nutrient dense. The ingredients are carefully selected and only of the highest quality. The top listed ingredients include sweet potatoes, bison, potato protein, pea protein and canola oil. Even though the first ingredient is potato, they are a great gluten-free source of digestible carbohydrates. Next up is bison, a lean meat rich in amino acids. Because it has less fat than other meats, it can help keep your pet at their ideal weight. Consumers say natural balance is a great pet food for animals with allergies. Those whose pets had terrible digestive problems found that this was the best grain free dog food they could find. Your pet needs a nutritious, dry dog food for every meal. Sometimes though, your pet does not need the grains or fillers used in commercialized dog foods. That is why Blue Buffalo Freedom is such a great choice to fit your grain free needs. All the ingredients are carefully chosen by holistic veterinarians and animal nutritionists. Blue Buffalo is a healthy and well balanced food without the harmful corn, wheat or soy that most foods have. Essential proteins include deboned salmon, fish meal, and chicken meal to supply your pet with high levels of protein for energy and growth. Your dog is sure to love the flavor of these natural, quality ingredients. The top listed ingredients include deboned salmon, menhaden fish meal, chicken meal, potato starch, peas and chicken fat. Other ingredients that support the antioxidants your pet needs include blueberries, cranberries and carrots. Consumers say this is the best grain free dog food. It has quality ingredients and produced excellent results for their dogs. Pets are fit, healthy, and happy on this well balanced dog food. The Earthborn brand focuses on what dog’s ancestors relied on for food before conventional dog food. Yes, the raw protein rich and grain free diet that is natural for your pet. Dogs still need meat and fish protein to help them sustain energy and strong muscles. The natural blend of herring meal, salmon meal and whitefish meal in this dog food will help promote everyday optimal health for your pet. There is also a healthy mix of fiber and antioxidants that come through natural fruits and vegetables. The top listed ingredients include herring meal, potatoes, peas canola oil, pea protein and tapioca. Consumers say it is the optimal grain free, holistic food for their pets. It is a great value dog food that may cost a little more up front, but helped cut costs in vet bills. It is great quality and one of the best no grain dog foods available. Hi-Tek has long been in pursuit of making the nation’s best premium and holistic dog foods. In fact, the grain free line was specifically produced at the request of thousands of loving pet owners. They were looking to solve nutritional problems with their dog. Outstanding nutrition and unparalleled ingredient selection are the advantages that come from Hi-Tek. The first ingredients listed include chicken meal, sweet potato, peas, pork meal, egg and chicken fat. Chicken meal is like a concentrated meat that contains almost 300 percent more protein. Then the sweet potatoes are a gluten-free carbohydrate that is rich in beta carotene and dietary fiber. Consumers say that after trying many brands they were happy to finally find Hi-Tek Naturals. It helps keep their pet in great health and is far better than any of the generic foods on the market. It is suitable for all adult dogs of all breeds and helps them maintain strong muscles, bones, and immune systems. Grains are not the only ingredients that might be giving your pets trouble. Often a dog can also have an allergy or intolerance of chicken or beef, some of the most common proteins in dog food. So what do you do then? Well, you choose Natural Ultramix by Castor and Pollux. This grain-free and poultry-free dog food has the number one ingredient of salmon. It is an ideal, grain-free dog food for all active adult breeds with other protein sensitivities. It contributes to a healthy coat, strong bones, and reduced symptoms from allergies. The top listed ingredients include salmon, salmon meal, herring meal, menhaden fish meal, dried peas and dried potato. It also contains pieces of real fruits and vegetables. There are no artificial preservatives or colors. Consumers claim this as the best grain free dog food, period. Dogs love this great food and it is great for them. It did not upset their pet’s stomach and was worth every penny to keep their dog healthy and happy. Using pet nutrition experts, Rachel Ray made a solid grain free pet food from simple, natural ingredients. There are no grains, glutens or fillers used in her expert recipe. There are also no artificial flavors, colors, or preservatives. Rachel Ray was sure to only use the good stuff. Because of the quality ingredients, this dog food is more like cooking for your pet than just feeding them. The real turkey used in this dog food was raised on U.S. farms and is lean and easy to digest. The alternate carbohydrates in this food, like potatoes, were carefully chosen and will help fuel your pet. Other top listed ingredients include turkey meal, chicken meal, dried peas, and tapioca starch. Consumers say this reasonably priced, easy to find, grain free dog food was approved by their canines. It also helped cut down on vet bills. It reduced the side effects from allergies or completely eliminated them. Healthy choices are just as important for your pet as they are for you. So, as the name indicates, if your pet has a grain intolerance or sensitivity then this dry dog food may be the ideal choice. This perfectly balanced food is made from natural, grain free ingredients to provide your dog with the nutrition they need. Hill’s has been working for 70 years and is always advancing knowledge about pet health and nutrition. This grain free diet is rich in Omega 3 and 6 fatty acids, both important to your pet. It is also free of artificial colors, preservatives, and flavors. The top listed ingredients include chicken, potato, yellow peas, and pea protein concentrate. It is recommended for adult dogs ages 1-6 and is one of the highest quality to promote a healthy and happy lifestyle for your dog. Consumers say Hill’s grain free dog food was a great food for their picky pets. It helped with their dog’s allergies and stopped the itching, sensitive skin their pets were prone to. As you might imagine, most no grain dog foods are not created equal. One food might work for a certain breed or age, but not be as effective on another pet. You want to find a high protein diet that does not skimp on the other nutrients your dog needs for a well balanced diet. So how do you go about finding the right grain free dog food without compromising the needs of your pet? First, you have to know why grain free is a good option for your dog. In most cases, grains are not bad for your pet. They still provide valuable nutrition and can offer a well balanced diet. However, they should not be the main ingredient in your pet’s food. Grains are common allergens for dogs and can prove to be extremely difficult for some dogs to digest. Unfortunately grains, like corn and wheat, are often used as a main ingredient or as a filler in typical dry dog food. Instead, you want simple, natural ingredients. When looking for the best no grain dog food you should look to find something with zero grains and no other gluten fillers if possible. Some glutens you especially want to avoid include wheat, barley, rye and oats. The first thing to look for is a regularly upset stomach or digestive system. If your dog constantly or frequently vomits, experiences constipation, or has diarrhea this may show a problem in your pet’s diet. If you want more solid answers about what your dog is sensitive to you can take them to a veterinarian for an evaluation. Or you can put your pet on a food elimination diet. This is one of the surest ways to know if your pet has sensitivity to grains. Just start with the best grain free dog food and work from there. If you are invested in the health and longevity of your dog, you might want to make the switch to the best grain free dog food. A no grain pet food is an excellent choice for many dogs, but you have to find the diet that is most perfect for your pet. For most pets, a diet that consists of more protein and less grain is a great place to start. To make the switch it is important to gradually change your pet to grain free over the span of a few days. That way their body and digestive system can acclimate to the changes. Once the transition is complete you will see the changes in your pet. Their coat will be smoother, their digestion more regular, and their eyes and ears will clear. Do your homework and consult with a veterinarian. That way you are more likely to get the best grain free dog food for your canine companion. Which brand of grain-free dog food does your dog eat? A nice list of potential dog food. I wish I knew of some of these before. Glad I got the info now, I wish there was a service where I could have my dog try a sample of dog food. I know some brands do that, so maybe I’ll have to look into it. I didn’t even knew Rachel Ray had her own dog food brand. It sounds appealing enough so I might get a bag of it and see if my dog is into it or not. I often go with Blue Buffalo or Hi-Tek brands as my dog loves them, but I’m willing to see if he’ll try some of these other foods too. We are considering making the switch to grain free. I have read the benefits and done my own research. We just didn’t know which food was best. Thanks for giving your recommendations. It is really going to make the decision a whole lot easier for us. I am looking forward to the transition! Ever since I found out that Rachel Ray had her own dog food line, it really piqued my interest! The problem was, I didn’t have a dog, but now we do! I am about to order it, because I can only imagine how flavorful it must be! She is an amazing chef!